New 6x9 inch paperback edition. 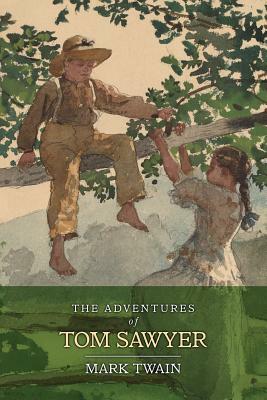 "The Adventures of Tom Sawyer" is the story about a young boy growing up along the Mississippi River, and the fun, clever, and occasionally harrowing situations he encounters with his friends Huckleberry Finn and Becky Thatcher. Cover painting by Winslow Homer, 1878. Samuel Langhorne Clemens (1835-1910), better known by his pen name Mark Twain, is one of American's favorite authors and humorists. His wit and satire, in prose and in speech, earned praise from critics and peers, and he was a friend to presidents, artists, industrialists, and European royalty. William Faulkner called Twain "the father of American literature."